Physical Therapy is a type of rehabilitative treatment aimed at helping patients restore, recover, maintain, or improve their physical functionality. Our physical therapists have experience working with a wide variety of patients whose movement has been affected by aging, disease, environmental factors, or who have been injured on the job, playing sports, or in accidents. 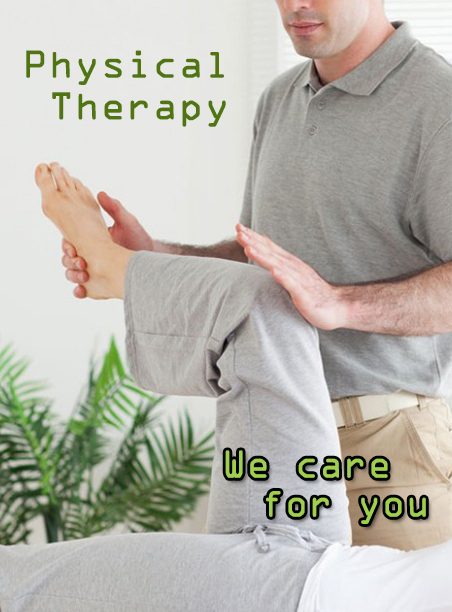 Our therapists believe in addressing the root causes instead of just treating the symptoms, and we begin with a comprehensive analysis of our patients’ unique body mechanics to find the source of the problem. Since we opened our doors in 2002, Al-Amal Physical Therapy Center has distinguished itself among the private health care sector with unique patient care and services. Every patient receives personalized attention from licensed physical therapists. It has always been our goal to provide a friendly and personal atmosphere in which patients feel at home while receiving superior rehabilitative services. Blending science and inspiration, our physical therapists will teach you how to prevent or manage a health condition and help motivate you during your treatment so you can function optimally. During your initial visit you will sit down with a physical therapist for a thorough evaluation. The evaluation will enable the physical therapist to correctly identify the etiology of your condition, come up with an appropriate plan of care and answer any questions that you may have. During the initial visit, the physical therapist will come up with a home exercise program so that you can appropriately begin helping yourself at home safely. At Al-Amal Physical Therapy Center we will continually recheck your progress and work with you to plan for your discharge from physical therapy when you are ready. Foster a pleasant and professional atmosphere. Show respect to all patients and staff. Work together for optimum patient outcomes. Provide the most effective and efficacious treatments. Pursue on-going education, advanced training and certifications in our field. Al-Amal Physical Therapy Center’s comprehensive approach is built around the concept that your relief and recovery depend on treating your injury or dysfunction and the effects it can have on the rest of your body. This is allowing to better identifying and treating the underlying causes of your pain, some of which are farther away from where the symptoms are. In addition, Al-Amal Physical Therapy Center will encourage you to take an active role in your rehabilitation to help maximize your recovery. The open design of Al-Amal Physical Therapy Center allows you to train for minimal chance of reinjury. Clinic 113 HCC building, Beside Air Force Hospital, South 90 st, New Cairo, Cairo, Egypt.